Dubbed the “TruNarc” (oh jeez, did they have to? 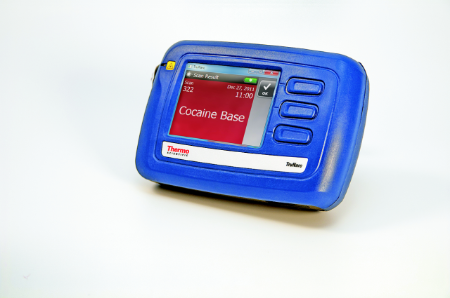 ), this handheld drug scanner from Thermo Scientific uses Raman spectroscopy technology to scan and identify narcotics, precursors, and cutting agents, even through plastic or glass packaging, right there in the streets or wherever the stash has been found and seized. Using onboard digital libraries, it can apparently identify 80+ narcotic substances, 40+ precursors, and 60+ cutting agents in one pass. This scanner can identify everything from hallucinogens to stimulants to depressants to designer drugs known as “bath salts”. The device is battery-powered (3.7V battery pack) and rechargeable (10-hour life), has multiple language-configuration capabilities, and can export results data in various formats such as CSV and PDF. It is available in two configurations, either pay-per-scan (just deposit a quarter each time, no, just kidding) or unlimited scans. 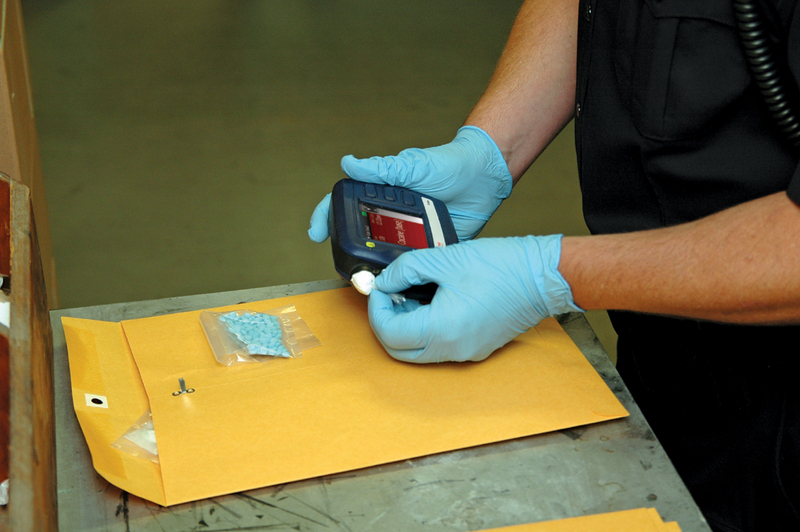 Already being tested in places like South Australia, obvious benefits to law enforcement include the ability to scan without unpacking or otherwise disturbing the substances in question, meaning better preservation of evidence and reduced exposure to the substances, of course, as well as faster drug identification and streamlined administrative processes. The obvious benefit to you is that you can identify that white powdery substance next to the rolled-up hundo on the small mirror on your coffee table. Cocaine, meth, heroine, oh my! Which one is it? Quit wondering! Pull out your trusty “TruNarc” and find out once and for all. And then bust yourself! ‘Cause, you know, we need more people in jail for drug possession. There’s plenty of room left in our jails still, right? Right? !